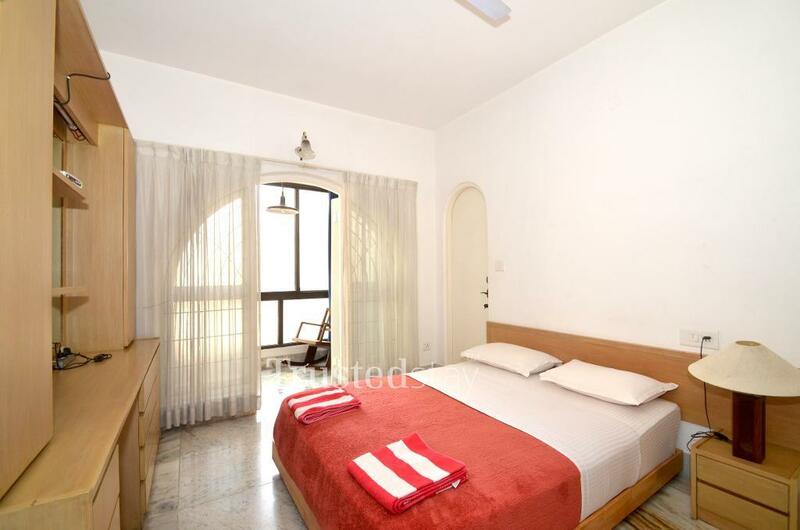 This service apartment in MG Road is situated close to Garuda Mall, 1 kms from Cauvery Emporium, Brigade Road, Bangalore, 2.5 kms from M Chinnaswamy Cricket Stadium, Bangalore, 6 kms from Bangalore City Railway Station and 37 kms from Kempegowda International Airport, Bangalore. 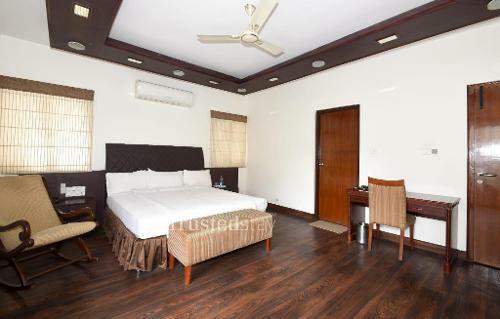 There are many Dine and Wine places around this service apartment like, Arbor Brewing Company, Portland Steakhouse and Café, Garuda Mall shopping centre is just 400 meters away. 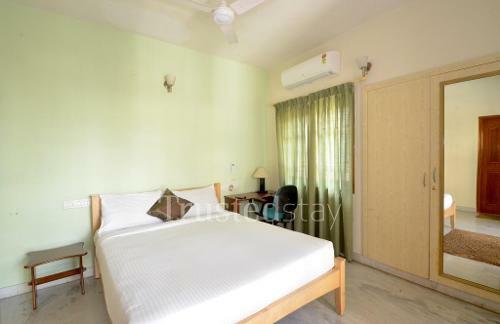 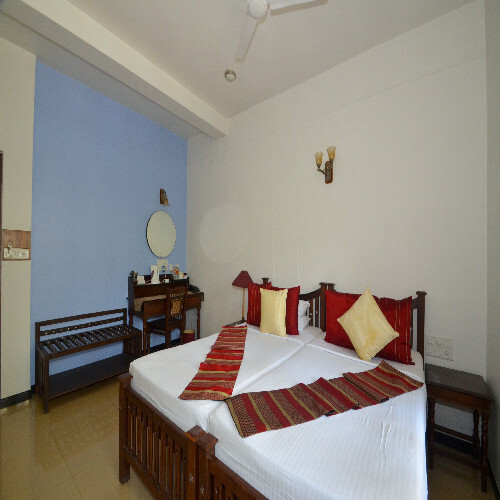 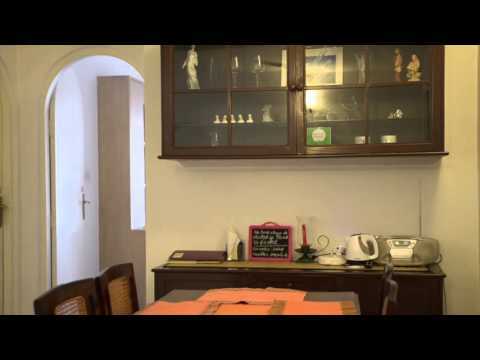 This is 3BHK service apartment on the First floor, offers a total 3 rooms, one Deluxe and two Standard rooms, Deluxe rooms are fully furnished with AC, TV and attached bath rooms and Standard rooms are with TV and attached bath room but no AC, there is a fully functional kitchen manned by our own cook, serves breakfast and prepares food as per the guest choice, Ideal for Corporates and family, either short or long stay.